An eclectic fusion of cutting edge performances, exhibitions and instalments to the Belfast stage, with 191 events from 14 countries taking place over 23 days. Now in its fourth year, Fashion Fest 2017 returns to Derry~Londonderry, where the landmark Fashion Showcase will take place in the historic Guildhall. The latest emerging designers share a platform with Northern Ireland’s most recognised designers. Internationally regarded as one of the greatest voices of her generation, Joss Stone performs a special live show where she will be accompanied by a live orchestra. In this new show she will be performing some of her hits as well as iconic songs by Burt Bacharach (In Between The Heartaches, The Look Of Love), Gladys Knight (Midnight Train To Georgia) , James Brown This is (A Man's World) and much more from the world pop, funk, soul and more all accompanied by a full live orchestra. 'Lovingly ripped off' from the hugely successful 1975 film Monty Python And The Holy Grail, Spamalot is a comedy full of misfit knights, killer rabbits, beautiful showgirls and ferocious Frenchmen, as audiences join King Arthur as he travels around the land gathering his Knights of the Round Table. This is a non-professional production presented by Ulster Operatic Company. 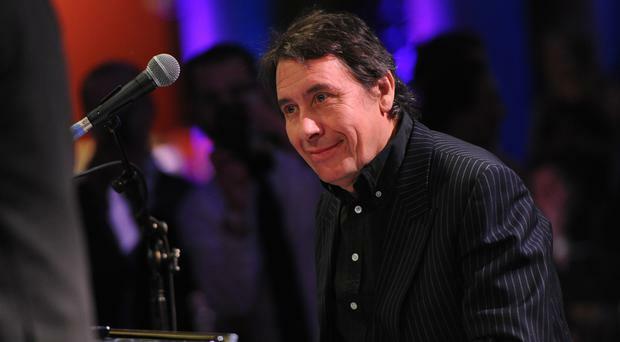 Jools Holland will be performing tracks spanning his entire solo career as well as songs taken from his latest album Jools & Ruby. The evening of music will also featuring Jose Feliciano and Gilson Lavis, and guest vocalists Ruby Turner, Louise Marshall & Beth Rowley. The Swedish singer is bringing her first UK and European headline tour to Belfast following the release of her album So Good in March. The record entered the UK official Albums Chart at Number 7 and includes the Number 1 single Symphony with Clean Bandit. In association with the Belfast International Arts Festival, Fire Below: A War of Words is a companion piece to Owen McCafferty’s hugely successful play Quietly. Gerry & Rosemary and Tom & Maggie are neighbouring couples who have lived through conflict from a distance. Now, nearly 20 years on from the Belfast Peace Agreement, they sit on Gerry and Rosemary’s deck having a glass of wine on a nice summer’s evening, putting the world to rights while waiting for the 11th night bonfire to be lit in the estate below.